Let’s just check that speed limit sign again, shall we? North Wales Police Superintendent Simon Shaw admitted that police had wrongly believed the county council had changed the speed limit to 30mph in 1993.
via Ananova – Police to fork out for speed limit gaffe. November 7, 2009 Posted by oldstersview | Dumb cops	| Comments Off on Let’s just check that speed limit sign again, shall we? 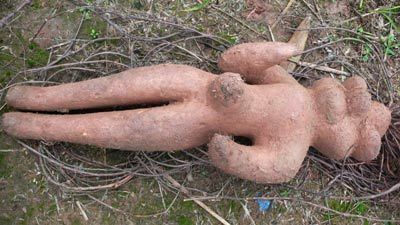 Baffled scientists are trying to get to the root of this astonishing plant dug out of the ground by a Chinese farmer. The two foot tall root weighs in at a massive 12 lbs and bears an amazing resemblance to a boy in even the smallest detail. via Ananova – Getting to the root of the matter. Ve haf vays to make you smile, ja? A UK design student has come up with a hat that can tell if you’re smiling. 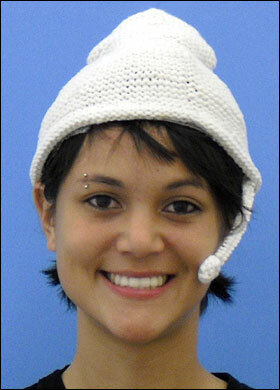 Should you wipe that silly grin from your face the hat detects it and jabs you with a sharp spike. Smile, darn you, smile! More via Frown if you dare … | The Sun |News. November 7, 2009 Posted by oldstersview | Dumb Stuff	| smile hat | Comments Off on Ve haf vays to make you smile, ja? Burglar: Oh, man, that mug shot of me is terrible. Here’s a better one. An alleged burglar wanted by Welsh authorities sent a newspaper a picture of himself because he didn’t like the mug shot it published. via Burglar sends paper homemade ‘mug shot’ – UPI.com. November 7, 2009 Posted by oldstersview | Dumb Crook	| mug shot | Comments Off on Burglar: Oh, man, that mug shot of me is terrible. Here’s a better one. November 7, 2009 Posted by oldstersview | People	| microphones | Comments Off on Is this thing on?